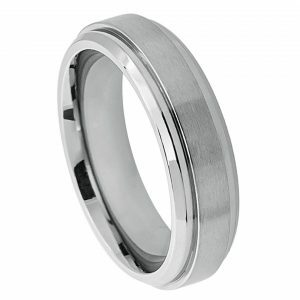 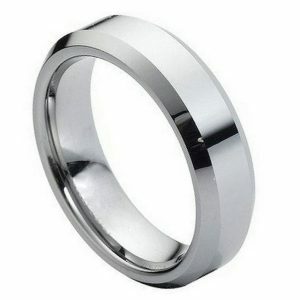 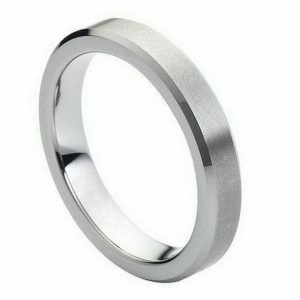 The tungsten gold inlay ring from Forevermore Jewelry is the perfect unique wedding band. 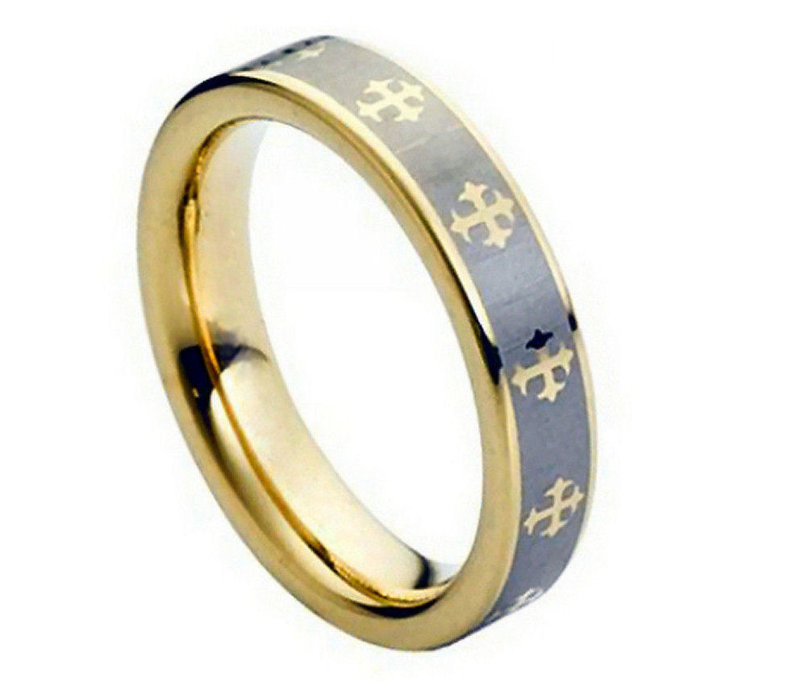 The alternating gold and metal bands create a unique old world cross design that is eye-catching and will be unlike any other wedding band you find. 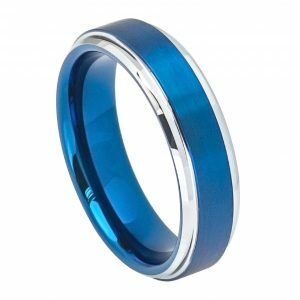 This tungsten wedding band with distinctive yellow gold, features beveled edges that give the ring a sophisticated, designer look. Plated in yellow gold and combining both a polished shiny finish and a matte finish, this tungsten carbide ring with gold center accent crosses is a beautiful symbol for any couple searching for the ideal wedding band.